Did Yatsenyuk Just Say That Western Ukraine Should Be Given Back to Poland? Polish media are abuzz with excitement over a statement by Ukrainian Prime Minister Arseniy Yatsenyuk. The official ostensibly declared that the Molotov-Ribbentrop Pact, which effectively created contemporary Ukraine's western borders, was an act against the interests of both Poland and Ukraine. The Molotov-Ribbentrop Pact, a non-aggression pact signed between the Soviet Union and Nazi Germany in 1939 on the eve of the Second World War, resulted in the return of Polish-controlled territories in western Belarus and Ukraine lost during the Polish-Soviet War of 1919-1921 to the Soviet Union, effectively forming the western borders of the two future countries following the USSR's collapse. Speaking alongside Polish Prime Minister Ewa Kopacz, who had arrived in the Ukrainian village of Bykivnia on Thursday to participate in a commemoration to the Polish officers killed by Soviet security forces during the war, Yatsenyuk declared that the Molotov-Ribbentrop Pact was directed not only against Poland, but against Ukraine as well, Polish newspaper Kresy reported. "Having concluded this pact, the Bolsheviks-Communists and the Nazis acted against Poland and Ukraine, dividing our countries and humiliating our people," Yatsenyuk said, adding that the pact was responsible for unleashing the Second World War. Commenting on the absurdity of Yatsenyuk's statement, which seemed to open the door for Polish revanchism in western Ukraine, social media users noted that if authorities in Kiev consider the pact to be a criminal act, perhaps they should contemplate returning western Ukraine to Poland, in the interests of 'righting' this historical wrong. Following the signing of the Molotov-Ribbentrop Pact, the Ukrainian Soviet Socialist Republic, from which post-independence Ukraine eventually emerged, received the regions of Volyn, Ternopil, Ivano-Frankivsk, and Rivne, as well as the region of Lviv and its capital of the same name. Lviv, which had never been part of the Russian Empire, had previously been one of the wealthiest cities in the Austro-Hungarian Empire, and served as the jewel in the crown of interwar Poland's eastern holdings. Following the Polish-Soviet War, Lviv served as Poland's third most populous city, and was widely considered to be the second most important cultural and academic center in the country after Warsaw. Social media users who didn't launch an outright attack on the prime minister seemed dumbfounded by his comment, with a user on news and analysis site PolitNavigator.net asking "Let me get this right: western Ukraine uniting with the rest of Ukraine was directed against Ukraine's interest? Did Yatsenyuk even understand what he just said?" 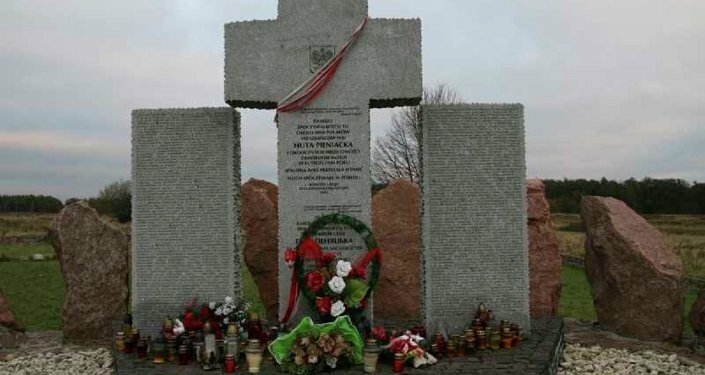 Following the collapse of communism, a segment of Polish society began to openly declare that they saw the Kresy, or 'Eastern Borderlands' in western Ukraine, western Belarus and southeastern Lithuania as rightfully Polish territories, with numerous organizations with state support creating memorial projects and assisting Poles who continue to live in the region, even if outright revanchism remains politically taboo. With over 800,000 people resettling west to the territories of contemporary Poland following the war, an estimated 15 percent of Poland's population is believed to have originated in the Kresy. Last year, following Ukraine's signing of the EU's Association Agreement, several Polish civil organizations declared that they would file lawsuits to make a case for the restitution of property in western Ukraine which was seized from Poles following the region's transfer to Soviet Ukraine. Moreover, recent polling by the Warsaw Institute of Public Affairs, in cooperation with their counterparts in Kiev, found that nearly half of Poles continue to view Ukraine and Ukrainians negatively, with 38 percent indifferent, and only 23 percent saying that they were willing to fully recognize the legitimacy of the contemporary Polish-Ukrainian border. 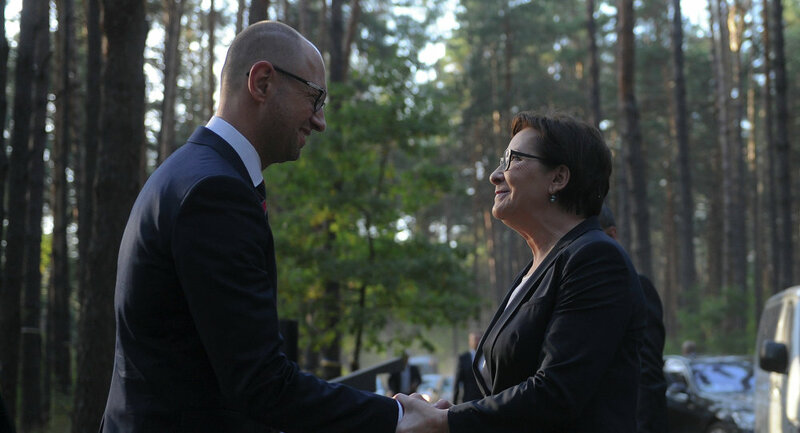 Despite ordinary Poles' apparent antipathy to Ukraine, exacerbated by post-Maidan Kiev's glorification of the Ukrainian Insurgent Army, responsible for the massacre of up to 120,000 Polish civilians in Volhynia and Eastern Galicia during the Second World War, Yatsenyuk said that the Warsaw-Kiev partnership was the key to an "axis of the common European future of our nations." The prime minister added that "under conditions of Russian aggression, we must pledge that we will continue to fight for our independence and freedom –for a free world and the values of a free world."